Venezuelan President Nicolás Maduro announced on Monday that his country’s western border with Colombia would remain closed indefinitely . He vowed to continue military searches in the frontier town of Tachira and carry out deportations of Colombian immigrants in the country illegally. 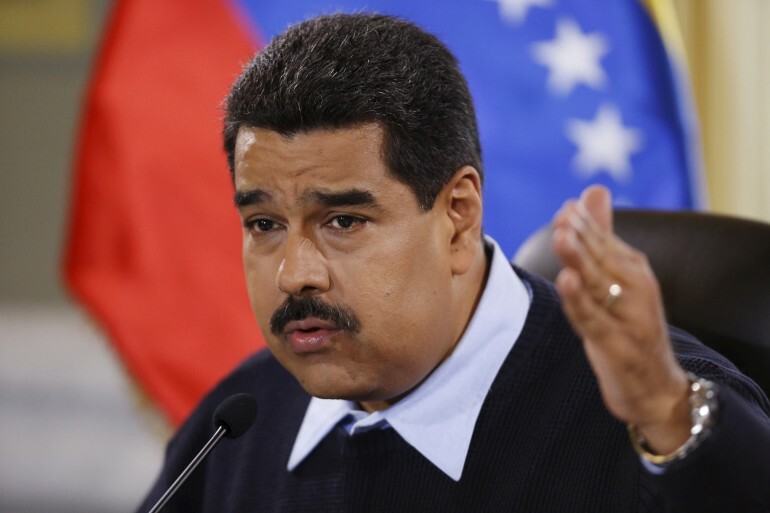 Venezuelan leaders say that they stepped up immigration enforcement to rein in illegal smuggling of subsidized goods across the border. The border crackdown followed clashes with suspected smugglers in which police were shot and critically injured. Colombian officials say that the deportations are inhumane, and accuse Maduro of engineering the crisis to distract from the country’s mounting domestic problems. EFE reported on Tuesday that 1,113 Colombians have been deported since the conflict escalated last week. More than 500 deportees were placed in shelters in Colombia, according to a statement by president Juan Manuel Santos. Colombian minister of foreign affairs María Ángela Holguín visited the border on Monday to speak with deported migrants. She denounced cases that she claims have caused family separation. "We're convinced that closing the border is not the way to fight contraband and organized crime [....] We're focused on the humanitarian situation. Today we learned of a case in which a woman was deported on Saturday and [only today] she was reunited with her three children," Holguín said in a press conference on Monday. President Santos signaled that he was willing to cooperate in negotiations with Maduro in Cartagena on Wednesday, but also struck a combative tone over the deportations. "We don't lack and never will lack the firmness to defend all our fellow citizens, wherever their security is threatened or their fundamental rights are violated," Santos said on Monday in reference to the deportations, according to Fox News Latino . Tachira governor Jose Vielma Mora confirmed earlier this week that hundreds of Colombians living in the Venezuelan border state illegally had been deported, but stressed that the removals had occurred “with all their rights guaranteed…and without any humiliation,” according to state media . Maduro demanded greater cooperation from Colombia on Monday, saying that he looked forward to negotiations on Wednesday and that he hoped to completely overhaul the border. Mora and other Venezuelan officials say that Colombians are smuggling government subsidized goods into Colombia and flipping them for a profit, exacerbating food and other shortages locally and across the country in state-run bodegas. The border flare-up comes at a tough time for the Maduro government. Low oil prices threaten the government’s ability to sustain food subsidies and the president has solicited loans in the past few months to keep them going. Meanwhile, inflation is rampant and gains in health care achieved over the past decade under the revolutionary government are threatened by shortages of basic supplies.